It's usually around mid-august time that I start getting the lust for Autumn, the colder days often call for steaming hot drinks, cosy evenings on the sofa and delving into a gripping book. In the Summer, I find it harder to take time out for myself and often yearn for the chance to spend an hour or two pampering myself and taking some time out and I know that over people can feel the same too, so I thought I'd compile a list of my favourite Summer self-care ideas. 1. Have A Technology Free Day | I often get caught up in the hustle and bustle of everyday life, so spending a day or even a few hours without a TV, laptop screen or phone going off every couple of minutes can make me feel more relaxed. Head outside with a book, play games with your friends or simply take a bath with a face mask. 2. Pamper | Talking of baths and face masks, I know it can be difficult to soak yourself in a roasting hot bath when the temperature is in the late 20's, so having a refreshing shower can be just as satisfying. Pop on a nourishing five minute face mask, grab a invigorating mint shower gel and spend some time singing your heart out to your favourite tunes. 3. Make Yourself A Tasty Spread | I love nothing more than quick, easy, convenient food when it's hot outside because I don't like spending too much time over the hot stove. Making your favourite meal, which for me is spicy potatoes, homemade garlic bread and bulgar wheat salad always lifts my mood. 4. Have A Picnic Outside | Gather all your salads, your delicious spreads of olives, dips, bread and snacks to take on a picnic outside. Either take your lunch outside and eat it SOLO or gather up your friends and bring a dish each. 5. Take Up A New Exercise | Whether it's outside yoga or a ride on your bike, I feel like the Summer is the perfect excuse to squeeze in a quick game of tennis or play a nostalgic game of rounders in the park. 6. Catch Up With A Friend | Sometimes all I want to do is sit naked in front of the fan when it's this hot outside, but I want to make the most of the pub gardens whilst I can and one of my favourite self-care activities at the moment is making an effort with making plans with my friends. 7. Visit Your Local Lavender Fields | Spending time outside in nature is so lovely especially when you're alone with your own thoughts or you're snapping away on your camera. I want to visit my local lavender fields as I loved taking a stroll through the poppies the other month. 8. Buy Yourself A Bunch Of Flowers | Peony season feels like it was yonks ago now, but that doesn't mean there isn't any other flowers that would look just as beautiful in your kitchen or bedroom. Flowers always lift my mood whenever I have them around and I love treating myself to them. 9. Watch The Sun Go Down | The sun goes down much later than it does in the Autumn/Winter when you're still in work, so I want to make the most of it going down at 9pm whilst I can, taking all the photographs of the changing skies. 10. 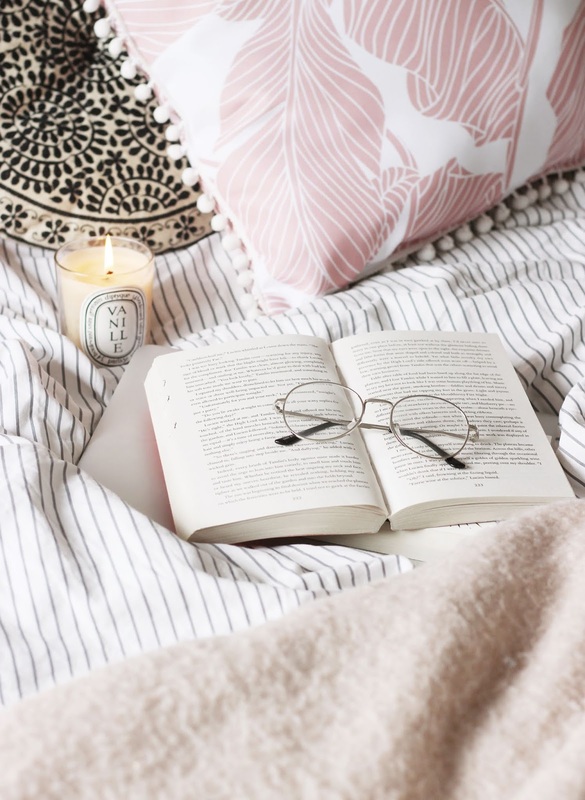 Read That Book You've Always Wanted To | We all have that one book that has been in our to-read pile for what feels like eternity and this Summer I'm finally determined to read that book during one of my self-care activities. What are your favourite Summer self-care activities?